A commenter on the previous post asked why I wrote it, and I responded in the comments. It occurs to me that the further thinking to which the question led might be of more interest, so here is some of it. I'm concerned because I've seen some intentional revisions to our fundamental liturgies, not authorized by General Convention, proffered here and there. These are often no more theologically adept than the occasional ad hoc and ex tempore alterations encountered with, I'm sorry to say, greater frequency, as a cleric changes a word here or there off the top of his or her head. These other alterations are sometimes extensive, and radically revise the texts away from (or even contrary to) their original meaning. Quite apart from this being a violation of the canons, I find it undermines the unity of the church, and tends to produce parishes with the atmosphere of a boutique — a specialty shop that offers a liturgy to be found no where else. I readily admit such things happen in terms of music and liturgical style — but at least the text has a common center. But with the text altered, everything is literally up for grabs. Such a parish becomes sui generis in almost every aspect. And I think this is destructive to our common mission as much as to our common prayer. Why? It seems to me that the further apart parishes are, the more they should aim at being as plain vanilla as possible — good vanilla, of course, organic beans with heavy cream — not only for the sake of the visitor or newcomer, but in order to share more closely in the common life of the wider church. In more urban settings, parishes can, I think, risk more variety in style (though not, as I'm attempting to note here, substance). But if the only church in town is offering a liturgy that is not BCP — in addition to whatever ceremonial, musical, homiletical, or sartorial variants are on tap — I can only think it will become more and more peculiar and isolated as time goes on, and is at risk of becoming a sect of its own. Thank you Tobias. That helps put it into perspective and I agree. We have had some of the same conversation out here in the rural west. Of course the seriousness of the issue is making it difficult for me to hold back on some crack about having to give up Oreo cookies and Hawaiian Punch as a Communion alternative, but I shall refrain. However, and on only a slight tangent, not so long ago I attended a baptism at a UCC church elsewhere in the country. It was certainly a naming ceremony; beyond that it was impossible to tell how or what the ritual signified thanks to the minister's improvisations. When I did field education, I found myself in a parish that was very big on changing the liturgy and even writing new texts. As part of my job as a field ed student, I was on the liturgy committee, given my interest in that area. I was definitely the most conservative one on the committee (*shudder*) and did (with some success) push for more direct use of the Prayer Book. What I also tried to do (quite successfully, I might add) was at least to steer them to liturgical texts that had already been written and approved officially by other Anglican churches or even other denominations (Methodists, for example). I would have preferred sticking with BCP or EOW, but sometimes you've got to accept half-victories. How do you resolve the tension between not diluting or distorting the original text, and the obvious fact that fewer and fewer people appear to find it meaningful and new language has to be found to bring them to faith or to keep them there? We use so many liturgical words that, in every day language, no longer mean what they used to mean, and preachers spend many sermons simply unpicking how the words can speak to us these days. What do you do when our common language no longer speaks to us in the way it spoke to people at the time it was written? Is that not also a loss of meaning? 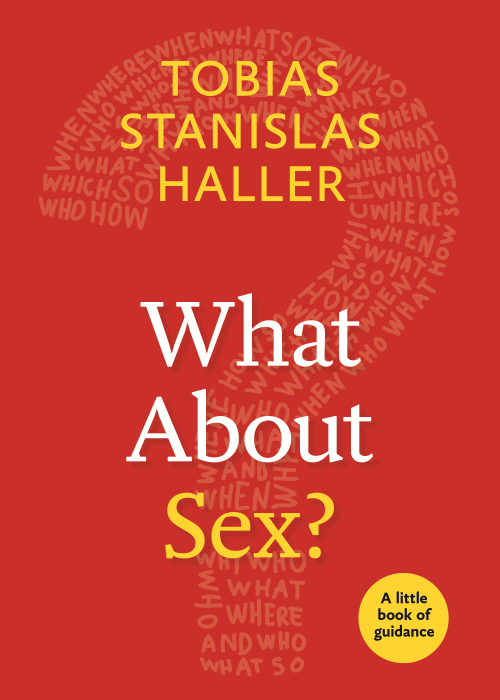 It was one of the things that struck me most when I read your book: how much time you spent on showing how the way we use words and concepts today is not the way they were used or understood at the time they were spoken or written down for the first time. Is picking a certain point in time, like the point the BCP was written, and declaring that to be binding for all times, not also fraught with danger? Tobias, this post and its predecessor speak to the reason I think it's time to revise the Book of Common Prayer. I find much to commend in Enriching Our Worship; but until it's in the Book that we're all using, it isn't really enriching the worship of all that many of us. More critically, an important purpose of common worship is formation. If we're not being formed by the same worship, we're not being formed in the same mode. This is one of my concerns about worship books in general: having the Prayer Book in every worshipper's hands allows discovery, not just of what's in this particular service, but also of what the Book holds of the Faith as this Church has received it. If that's what folks are doing during the Offertory, or even (as much as it pains me to say it) while I'm preaching, at least they're getting something of the Anglican tradition. Thanks, Kevin M. I think that is probably not a typical situation. It sounds to me as if you handled a delicate situation appropriately. Erika, I'm not at all opposed to liturgical revision, and by no means suggesting that the BCP 1979 is set in stone or "binding for all times." We already have a number of expansive revisions and supplements that have been authorized for use; and there are procedures in place for making further revisions. What I'm objecting to is people taking it on themselves to make such revisions at a parochial level. This leads to, well, parochialism! So my issue is not about change -- change is inevitable, and often necessary -- but about the process by which change is made. I have seen some excellent work bubble up from the grass-roots; but I've also seen some truly misguided efforts. Let me give a concrete example. The 1979 Book of Common Prayer permits a couple, working with their pastor, to craft a marriage liturgy almost entirely de novo (in "An Order for Marriage"). But the words of the vows cannot be rewritten. 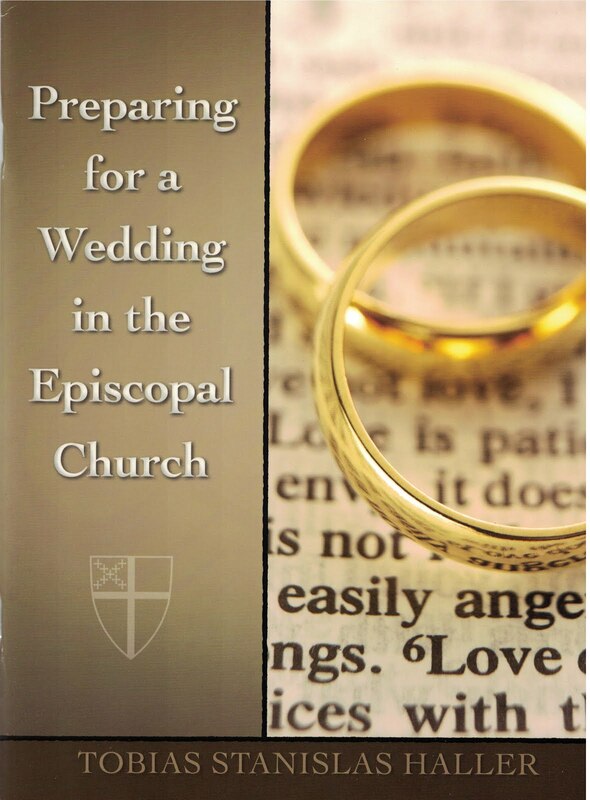 This is to make sure that the vows actually express the level of commitment the church intends. The same is true in what is commonly called "Rite III" -- a provision to write a liturgy for the Eucharist on a community basis -- but the heart of the Eucharistic Prayer is given in two forms, which are required elements of the liturgy. I really do think that the Episcopal Church provides ample scope for creativity, and meeting the needs of local communities, without altering core language. And there is provision, through the workings of the larger church, to change that core language over time, as indeed we have. So, just to be clear, I am not speaking against variety or change -- but doing so in an orderly and careful fashion: local communities authorized to make changes up to a point, but more central changes requiring wider input. Thank you, Marshall. That's what I'm getting at. After EOW is out there for another few years, we will be able to see what works, and aurthorize inclusion in a new BCP. We may also, at that time, drop some of what was "cutting edge" in 1976-9, but which hasn't stood up very well. I think having a stable central text that lasts for two generations or so is a good idea. I appreciate the approach of issuing supplements, which help pave the way for change without the kind of pain that many felt over the way the 1979 book replaced the 1928. What tinkerers do not seem to understand is that some of us actually memorize our praying over time. It gets in the bones. Repetition is a part of formation. We carry those words with us for a lifetime and rely on them in difficult moments. Off-the-cuff changes are very noticeable in such instances. For me to show up to any parish and not be able to follow along because of so many local changes strikes as congregationalism rather than common prayer-ism. What is more important is that liturgical changes reflect theological changes. In many instances, the theological reflection behind many changes I've ran into of late is shallow, meant to tear down in some way (almost just to say na-na-na-na-na), or non-orthodox (the latter often go hand-in-glove). None of it takes seriously our common life in prayer, which is partially expressed in how we make changes as a Church: through theological conversations, trial uses, and finally General Convention. Liturgical changes mean actually being in theological conversation. Official liturgical changes come toward the end of such conversations and trial uses (like for example the 1979 BCP after decades of conversation and trials). We have tended to talk about lex orandi, lex credendi simplistically as Anglicans without recognizing that theological conversations have often gone on for some time before our orandi changes. It's a two-way relationship between orandi and credendi in our tradition as clearly the Reformers and Carolines and Liturgical Movement demonstrate. And I would suggest many uses of EOW have not been run by the bishop. Again, this sense of lone-rangerism is not helpful to common praying. I agree with Marshall that maybe it's time to revisit the 1979 BCP. What I find as the most common "ad hoc" " revision is gender related. A common example is in the Nicene Creed; "...was made one of us" is sometimes used for "...was made man" in some parishes. Now, personally, I really don't have a problem with "man" in this sense because Jesus was male. We're talking about Jesus here. But I know others who get really bent out of shape over "man." I am not a scholar on the original intent in the actual words of the Nicene Creed; maybe what is needed is education on this rather than ad hoc gender neutral revision. I think the 1979 BCP did very well in terms of gender neutrality--for 1979. But accepted norms in gender neutrality change. I also recognize that oddly enough, these ad hoc revisions over one or two gender related words (or the lack of them) seem to create more acrimony that if someone crafted a special "prayers of the people" for a private Eucharistic gathering. I used things like home Eucharists/family reunions/etc. in the previous thread. For public corporate worship, I tend to be extremely Orthodox about using either BCP or EOW texts and forms "as is" with no tinkering--for private Eucharistic gatherings...ehhhhh, not so much. It is kind of "public vs. private" where I draw the line. These are questions that I also believe raise issues now that the internet is with us. Several of you all who read this blog may also have heard about the additional "live time cyber-funeral" for Lee Davenport. It was a Rite II funeral service. We were all encouraged to "BYOE"--bring your own elements. Alone in the privacy of my own yard I responded at the appropriate times, sit, stood and knelt at the appropriate times, and Fr. Mark Frazier blessed our elements "live time" during the service. My personal belief is that my cyber-blessed Winking Owl Merlot and my Triscuit were just as real as any wafer and port I got on Sunday at church. Others, however, may not feel so inclined. I treated it with the reverence a consecrated sacrament deserves. Since I was the only one there, it's kind of a moot point. But it brings up the need for some very real conversations that would not have existed in 1979! I suppose people who are raised in a liturgical church end up in two camps as adults: love it, or hate it. I'm lucky enough to live in an area where you can find just about any type of Christian worship imaginable (and a few you that are a bit too silly to imagine). I've accepted many invitations to other types of churches, seen my share of weddings and funerals, and here's my take on stricter liturgical styles. Without a common liturgy and lectionary, you usually end up being a spectator, not a participant. Sermons are too long and sound like op-ed pieces, and often seems as if Bible verses were selected later to bolster the pastor's thinking. I know that sounds unfair - and yes, I like to talk in church, too! And of course, standing, sitting and kneeling helps keep you limber. By all means, adapt the liturgy as appropriate, change the BCP with the whole church when it's time. But until we make those changes it's our responsibility to catechize the faithful - and not during the service (Erika has a point, I just propose a different solution). 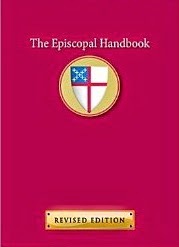 When I was an active Methodist, my choir friends would often say - "you are such an Episcopalian sometimes." And they were right - and it always made us smile. My two pennies on the counter, nothing more. I don't like tinkering either. First, most directly and viscerally, I object because the people doing the tinkering have an abysmally tin ear. They simply have no grasp of language, of nuance and implication, of the poetic necessity to feed the soul in liturgy. Unfortunately, most of the proposed changes I see are utter nonsense - words, words, words and no soul. It reminds me of the warning against "vain repetitions." The more general concern is that it is a discipline, and even good ol' liberal me is sick of the absolutely amoebic lack of cohesion in TEC because the one thing everyone wants to avoid is discipline: oh, they'll recite all the monastic hours, great and little, as long as it makes them feel good but cannot make that committment if it doesn't hold their attention and send them spinning into realms of wonder and speculation. They want it done for them. They don't take away anything because they don't bring a container to take anything away with. For me it boils down to issues of integrity and honesty. I have been to Episcopal churches where, the BCP is used and adhered to, where it is in the pews but never used except on "special" days when Rite 1 is used, and where it is not in the pews because it is not "catholic" enough and "might cause people to feel excluded". I have been in Episcopal churches where gender inclusivity was so inclusive that it was exclusive, Jesus was NEVER a he, but rather a child of God, and God was God, or she, God or Mother, Abba God, or our Mother/Father in heaven (the latter on Fathers day). I have been to Episcopal churches where Jesus is referred to as "Brother, prophet and friend" so as not to cause offense to other faiths! I have been to Episcopal churches where the readings, psalms and Gospels are thoroughly rewritten to avoid words like "slave" "harlot" "concubine" etc and every action by a male is adjusted to include a female. The BCP is an amazing work of faith and is full beyond desire, but as in many situations when we have a great deal, we want more, Often to the point of not using what we have. I find in the BCP an almost ideal explanation of, and experience of faith and action in Christ through the Holy Spirit. but what I experience when I go to a church is puzzling and often verges on the comical. The Lord's prayer being stumbled over because the words have been changed, the creeds being rewritten, the Eucharistic prayers being "adjusted", unrecognizable readings. I fear that these parishes are nothing more than private little clubs with a hierarchy that makes decisions expecting the congregation to follow along. I have yet to see education on the changes implemented and in these parishes change is the norm, that is to say these innovations seldom hold. Is it change for change alone? Is it being the first on the block mentality? I don't know, but I find myself praying for the Episcopal church to find itself and "come out" to the world, but I know from experience, the hardest part of coming out, is admitting to yourself who you are, claiming that person and finding the gift that is God's in that person. I guess it is the same for religious organizations too. We've been itinerant semi-Episcoaplians of late. I think that the continuity of the services we've been to has been helpful for my beloved's journey. (RIte II, it seems). A few words here and there have differed, but as Christopher notes, the rhythm, and the structure are generally the same. So we haven't seen anything like the confusing variety tht Bruno and others note. Which is probably good. Being Roman Catholic by upbrining, BP appreciates a certain continuity of structure. Being Roman Catholic by upbringing myself, I appreciate the familiarity and commonality too. Spot on. The regular, public worship of the Church should follow established norms, and be recognizable and inclusive when one travels from one parish to another. And within the authorized texts, there is plenty of room for variety. I am currently in the Diocese of Montreal. We are authorized to use (1) BCP 1962 (2) Book of Alternative Services 1985 (3) the authorized French translation of the BAS Eucharist, Baptism, Marriage and Funeral liturgies (4) American BCP 1979, in English or French (5) Supplemental Eucharistic Prayers (Canada 1999) (6) EOW (7) Common Worship. Within that selection, there is more than enough variation. My predecessor here, however, thought that insufficient, and the rite that the parish was using up to his retirement was a hybrid of the BAS and Roman Sacramentary. The interim started the process, and I have brought the parish back to compliance with the BAS, and I have had nothing but positive comments, and people have been very perceptive of what I have been doing (figuring it out without my having to explain it). Experimentation does have its place -- good liturgy should be constantly evolving. But experimentation needs to be deliberate, not haphazard. There is a need for serious theological reflection, not just by the priest/liturgist, but by the entire community, in conversation with the wider church, both in creating new rites or variations on existing rites, and in evaluating their use. I think Northern Michigan, as a diocese, may be closer to this than most other dioceses, especially in the work they have done around living the baptismal covenant. (We used LifeCycles in my previous parish, and I have been to workshops with Kevin Thew-Forrester and others from the diocese). But where they have fallen short is perhaps in their conversations with the wider church (beyond the small circle of dioceses that are heavily into the ministry of all the baptized). In my senior year of high school, I took a class in ancient Greek. (Yes, I know, quite rare these days, and it was in Mississippi too!) The teacher had posted up in the front of the room a sign that read (in Latin, though) repetitio mater memoriae, "repetition is the mother of memory." As Christians, we are very much a "community of memory," and as with just about any other activity, that memory relies of constant repetition in order for it to sink down into us. If everything changes all the time, at best it remains a shallow memory limited to the head. With repeated reinforcement, however, that memory can penetrate into our very depths. I'm not just talking about our heart or even the gut but down into the tailbone and even further into our toes. We often talk of "body memory;" well, this is Body (of Christ) memory, memory that fills our whole being, that re-members not only the past but also the future of Christ's presence in all things. In a world characterized by constant change, perhaps we're called to be a countercultural force that reminds the world about the possibility of that kind of deep memory based in mindful repetition and reinforcement. Thanks, IT, Jim and Kevin. The "memory" part of it is really important to me -- the not having to juggle numerous books or leaflets, but just focus on the ceremonial, music, words I know in my heart. The "newness" appears within what is old -- and that's what is so wonderful. Back in my theater days I once met a man who didn't know that actors "said the same words every night." He thought plays were just stories that the actors "acted out" as a kind of improvisation every performance! And I've known actors who find it hard to keep a role "fresh" -- but to me the real genius was in finding the new in the old, every night -- and twice on matinee days! In some ways, having a set (though flexible) liturgy allows for even more creativity. For those "non-liturgical" churches that eschew such fixed forms, the worship service often ends up being basically the same every Sunday with basically the same (wordy) prayers said and a narrow range of readings done. Having a fixed lectionary and proper prayers allows for a much greater range of theology to be expressed. It also can allow for more substance to be compressed into fewer words. One comparison I like to use is to rock-climbing. One can certainly free-climb up a rock face, but it severely limits one's range and flexibility. With a secure safety line and belayer, however, one can take greater risks in reaching (and sometimes even leaping) to new heights. Ach, I left a long comment and Blogger ate it. Or were the comments moderated? Jane, I left a note at the other post. There is a 4096 character limit, and Blogger gives a very subdued warning about it. I do moderate comments, but have not "dismissed" more than a handful (apart from a few robot spam items) in all the years of this blog. Thanks, Tobias, got the comment below, which I think is where I had left my overly long comment. I've answered there. More when I can. Peace to you and to all. The Church as Empire — Not!